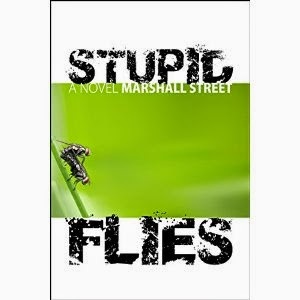 “STUPID FLIES” is a novel that follows a cast of dynamic, often-gritty characters in rural Australia. The novel is set against the backdrop of a feud between farmers, exploring its characters with heavy use of internal monologue and stream-of-consciousness writing style. The writing style is truly no-holds-barred. You get an unfiltered look at each characters’ thoughts as raw and course as they may be. As I read each character's stream of thoughts, with a variety of course descriptions and sometimes strong language, I was reminded a bit of James Joyce’s “Ulysses” -- which is one of my favorite books. Through a mosaic of character experiences, you get the plot – a gripping tale of allegiance, conflict, and growth. I'd recommend this book to you if you want to read a character-driven novel that employs descriptive writing to create a patchwork narrative, woven from the lives of realistic characters.